Soak oats into water and cream. In a separate bowl, mix flour, salt, baking powder, baking soda and cinnamon. Add sugar, pureed bananas and oil into the soaked oats. Stir in the flour mix. Line muffin pan with paper cups and fill each with the prepared batter so they’re 2/3 full. Put all the streusel ingredients into a bowl and make a crumble. Sprinkle over the poured batter. Bake in a preheated oven on 180°/350°F for about 15-20 minutes. Note: This week Weekend Herb Blogging is turnig 6! and this is my entry for the event. Host is Haalo form Cook (almost) Anything. I love anything streusel! The muffins look perfect! Oats, nuts and bananas-what is not to like!? The method of soaking the oats prior to blending does sound like it would make for a very moist muffin. Also, nothing better than a good dose of streusel on top. 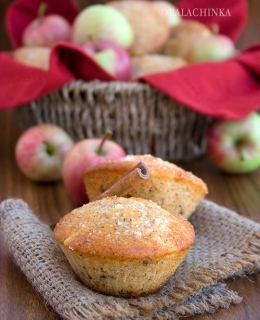 Now I am totally craving these muffins-yum! Thanks for sharing. The topping on these muffins is incredible—I want to eat one right this minute. You say “streusel”, I say “I’m baking it!” These look absolutely divine! Thank you for sharing your marvelous recipe! obožavam ove mrvice od tijesta i orašastih plodova. muffini su super! I could definitely go for one of these muffins right now! Love it! Gorgeous! 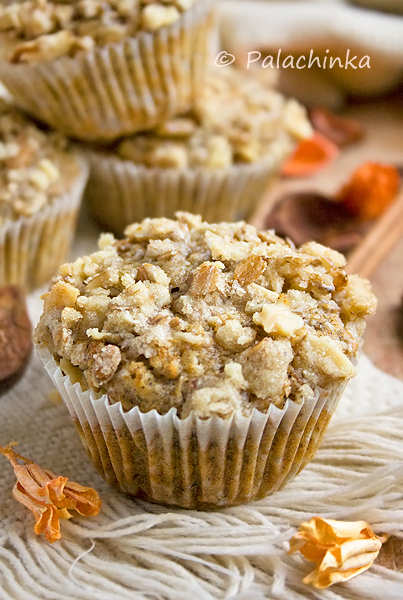 I love the look of these muffins…streusel makes any muffin so much more fun! This looks super divine! Great job must try buzzed. So tasty! Made them this morning. Definitely a keeper! Great! Thank you so much for trying the recipe out!